Sir Isaac Bayley Balfour was Regius Professor of Botany at the University from 1879 to 1884. Balfour was born in Edinburgh, the son of the former Regius Professor John Hutton Balfour. He received practical training in plantsmanship at the Royal Botanic Garden in the city and specialised in Botany while studying at the University there, graduating BSc in 1873. Balfour continued his studies in Wurzburg and Strasbourg, returned to work as an assistant to his father at the University of Edinburgh, and was a lecturer in Botany at the Royal Veterinary College from 1875 to 1878. He continued his medical studies at the University of Edinburgh, where he was a dresser to Joseph Lister, and he gained an MB (1877) and MD 1883). In 1879, the year he was appointed to the Regius Chair at Glasgow, Balfour published his report on the flora of Rodrigues Island in the Indian Ocean, and spent seven weeks on the island of Socotra studying its flora and geology: the results were subsequently published in Botany of Socotra (1888). 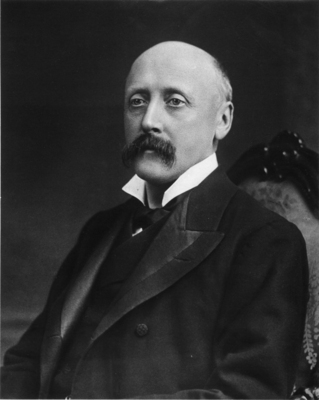 Balfour left Glasgow in 1884 to become Sherardian Professor of Botany at Oxford. He returned to Edinburgh in 1888 as Professor of Botany, the Queen's Botanist in Scotland and Keeper of the Royal Botanic Garden. He was created KBE in 1920. Born 31 March 1853, Edinburgh, Scotland.